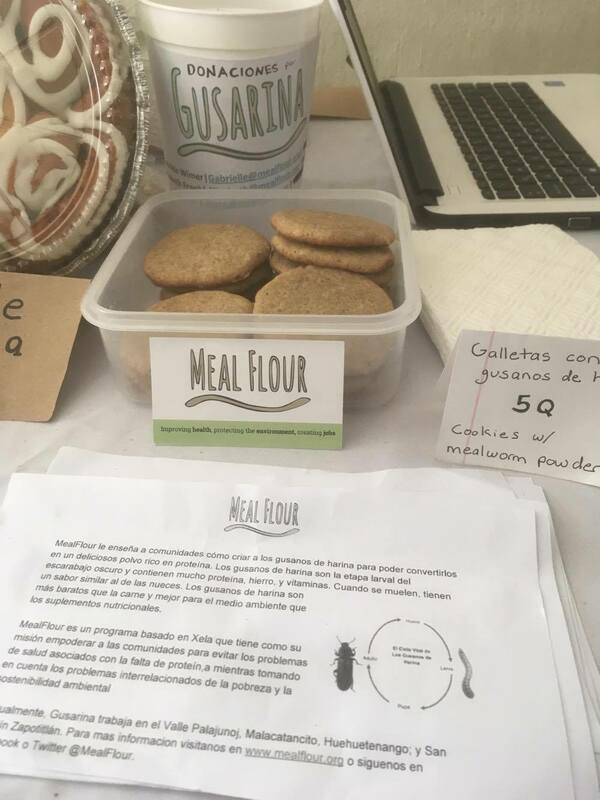 On September 30, the participants in MealFlour's train-the-trainer program hosted an open house in Malacatancito in Huehue. Guests heard a presentation from the new community trainers, looked at the farms that they have been maintaining, and tasted toasted mealworms and cookies made with mealworm powder. Each participant in the train-the-trainer program hopes to recruit, and begin to train, new farmers by the end of the year. Another month, another great day at Los Jardineros Granjas Urbanas, Xela's urban farm. At September's Día del Campo, alongside our classic MealFlour cookies, we added some eye-popping toasted mealworms to the mix. At the event, we tried out new ways to enjoy these nutty roasted treats by pairing them with delicious foods from the Xela cafe, Tan Lechuga Yo. With soups, lime and salt, and protein-loaded pita sandwiches, MealFlour continues to find great mealworm flavor combinations. MealFlour welcomed three fantastic interns to work with the team in Guatemala last Summer. Read about the experiences of Symphony Fletcher and Sebastian Otero in their blog posts re-capping their time in Xela. If you missed our August 2017 newsletter, take a look at what Jessica Mora had to say about her stay. For students interested in and intern position, keep your eye on our social media pages and newsletters in the next few months for application information. MealFlour was welcomed into the MIT Solve community last month after presenting in the 2017 Solve Challenge Finals. We are excited to be connected to such an amazing group of innovators. Did you miss MealFlour's guest appearance in the Beyond the Plate podcast last month? Check it out HERE!